When it comes to picking up the best green tea in India there are many tea brands in India that produce green tea. Choosing the best green tea brand in India is hard. So how do you pick up the best green tea brand? If you are an Indian your day starts with a cup of your favorite drink whether it may be Black tea, Herbal tea, Yellow tea, White tea or Black coffee, Cold coffee or Filtered coffee whatever it may be we definitely drink a cup. We Indians got so used to tea and coffee that we cant start our day without them. As time changed people started following healthy diet habits. As a result, their favorite morning drink is replaced with a much healthier drink which is Green Tea. There are amazing health benefits of the green tea drinking cup of green tea every day can make your skin glow and helps you to lose weight as fast as possible. Green tea also reduces bad cholesterol and helps in fighting blood cancer, breast cancer, and liver cancer as well. > Green tea is loaded with bioactive compounds which improve the immune system. > Green tea is also poven to imporve brain funtion and nuerom connectivity. > Green tea promotes weight loss at a faster rate. 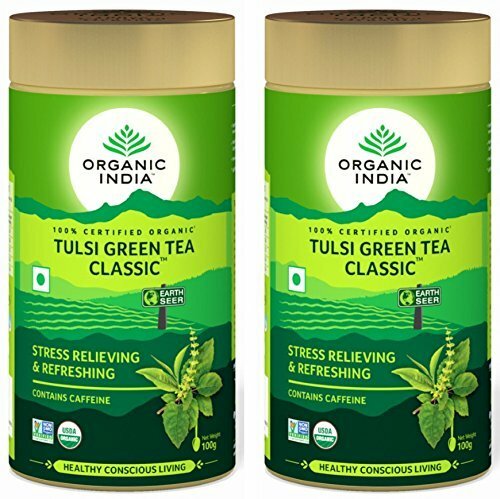 After knowing green tea benefits I started searching for green tea brands in India While searching I was many best tea companies in India that were offering great value for money after trying out many green tea brands I found best green tea brands in India and brands mentioned in the list offer green tea without caffeine. Here is the list of green tea brands in India you should try ones. 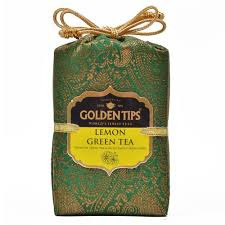 Golden tips green tea is the oldest tea brands in India This brand uses the best quality tea leaves and golden tips is easily available in many retailer shops Golden tips green tea leaves are specially picked organic tea leaves from Dargiling. This green tea is also made using different flavored tea leaves to produce the best quality green tea bags. Each tea leaf has it's own unique flavor after buying golden tips green tea you will notice one thing that this tea comes in very attractive packing you will surely enjoy Golden tips pure Darjeeling tea. As the saying goes price = quality Golden tips tea is priced on the expensive side. Golden tips green tea comes in unique flavors like Golden tips Assam tea Golden tips masala tea. Golden tips tea is priced on the expensive side. 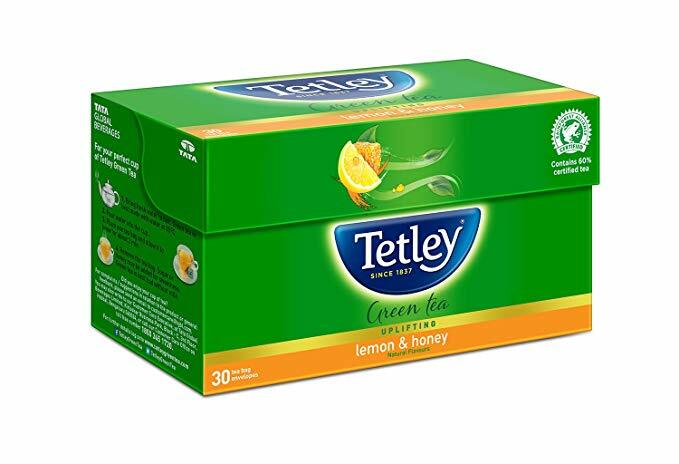 Like Tetley Lipton tea is also very popular in India, most of the Indian use this green tea. You can find Lipton green tea both in small and big retailer shops. Lipton offers great green tea as it's green tea is made of budding tea leaves. 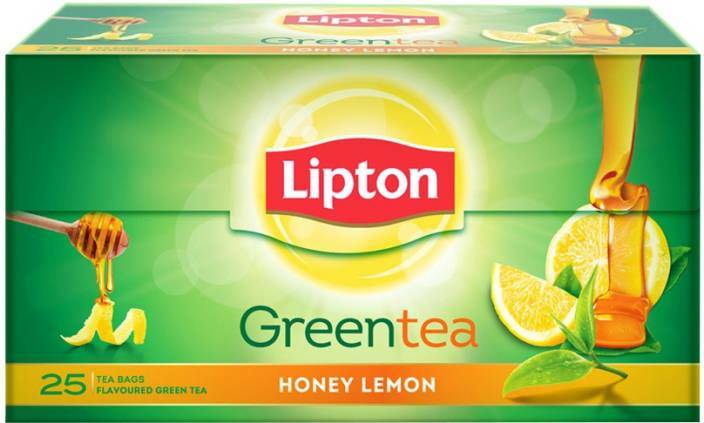 Lipton also claims it's green tea is purely made out of organic tea leaves no chemicals or preservatives were added. Lipton comes in various flavors like Jasmine, Citrus, Mint, Honey, and lemon. Lipton green tea honey lemon is mostly bought flavor Lipton green tea price is also pocket-friendly it is not on the expensive side. There are also Lipton black tea and Lipton iced tea. Available easily in many parts of India. Lipton offers different green tea flavors to its user's. You may find this green tea a little bitter than other green tea. Lipton is not 100 Organic certified green tea. Twinning is also among the oldest green tea brands in India. The shocking fact is that Twinning has been manufacturing green tea for 310 years this brand is also used by many people in India because of its great flavor and price. Twinning comes in loose leaves and flavored tea bags. There are different flavors like twinning green tea jasmine, twinning gree tea cranberry, twinning green tea lemon, and ginger. 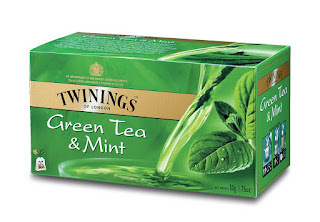 Twinning claims that only organic tea leaves were used in making this green tea no additives. There are many Twinning green tea flavors. Twinning is easily available in both big and small retailer shops. The Tetley is among the few brands in India that offers ease of availability you can find this green tea in any retail outlet. Due to its ease of availability and reasonable pricing Tetley tea is used by many people in India. Tetley says this green tea uplifts your mood and keeps you active throughout the day. 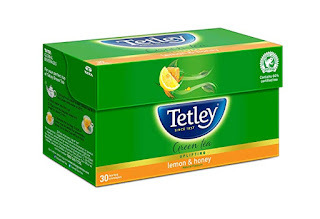 Tetley claims that this green tea has 5x the antioxidants One thing you will notice after drinking Tetley green tea is that it has some bitter after taste. You can find Tetley almost anywhere in India. Tetley has only a few flavors to try. After drinking this green tea you may experience some bitter taste. 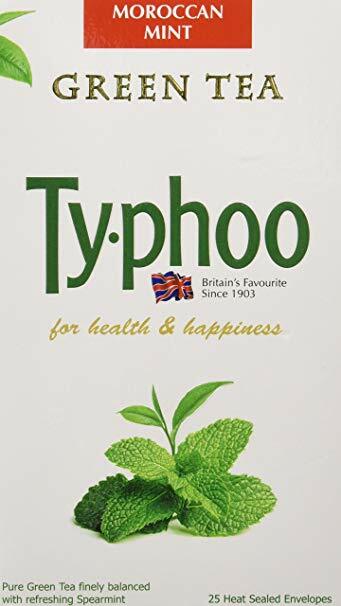 The Typhoo brand is very famous in united kingdom This brand has a good reputation in the market within a few days of its launch in India Typhoo has become a popular green tea brand in India. Typhoo is known for providing great quality organic tea. Typhoo green tea leaves are carefully selected to provide great quality and satisfaction to their customers. Moreover, Typhoo tea is budget friendly it is on the cheaper side. Typhoon tea bags are also available online. Typhoo is well known in brand UK. Typhoon uses the best tea leaves. Organic India is considered the best organic tea brand Hence their tea is 100% organic certified green tea. organic India main aim is to provide quality organic products. They offer green tea in loose leaves and flavored tea bags. 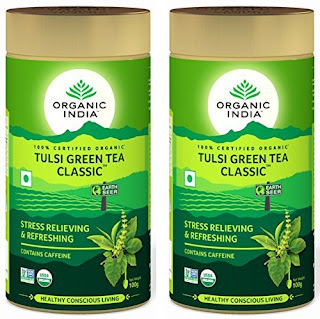 Organic India uses Tulsi leaves or Basil leaves to produce green tea because of that drinking this tea gives many health benefits, for instance, Reduce stress, weight loss, and improved immunity. This green tea comes in flavors like Jasim, Pomegranate, Ginger, Lemon, and Earl Grey. Organic India green tea is caffeine free and easily available in the market. It is 100 % organic. It is cheaply priced can be affordable by everyone. Organic India has very unique flavors. This green tea has tulsi mixed in it which some may not like. 24 mantra organic not only produces green tea they also produce many organic products like 24 mantra organic oats, 24 Mantra organic atta, etc. Green tea was recently launched in India by 24 mantra organic. They claim that their green tea reduces cholesterol and increases metabolism. It is made from organic tea leaves no other chemicals were added in manufacturing this green tea The best part is leaves used to make this tea are grown naturally without using any pesticides. They promote organic products. The leaves used to make this green tea are soft and fine that sometimes you feel like eating leaves when you drink this tea. 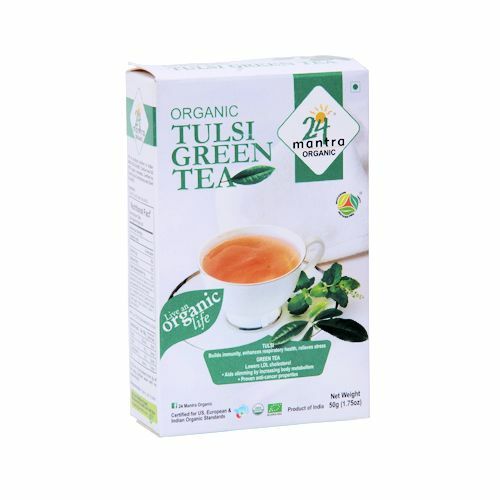 24 Mantra organic green tea is easily available across India. 24 Marta is available across India. It is on an inexpensive side. You may experience leafy taste when you are drinking this green tea. Yogi pure is known to produce the best quality green tea. Only pure green tea leaves are used in making this tea. If you are kind of person who loves green tea or you drink green tea too often then yogi pure green tea is for you. This green tea has gained huge popularity in recent times because of it's uncompromising quality and flavor. This green tea is used by many people in part of China and Asia. If you are a green tea addict we recommend you to try Yogi decaf green tea. 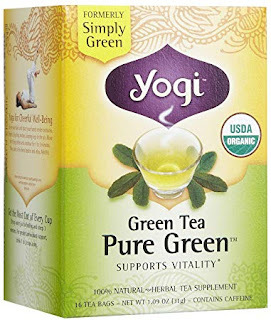 Yogi pure green tea is known for its quality. Many of us know Himalaya as a beauty product company but only a few people know that Himalaya also produces green tea This green tea has very strong flavor Himalaya claims that their green tea is loaded with antioxidants. It also refreshes you and uplifts your mood. It also helps to burn fat faster. 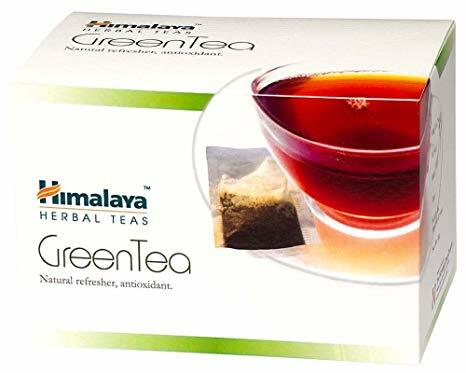 Himalaya green tea comes in both loose leaves and tea bags. It has a very strong taste. We all know taj mahal as normal tea brand most people use this tea brand in their households Be that it may taj mahal as recently started producing green tea This green tea comes in three different flavors Darjeeling, Honey Lemon, and Earl Grey. 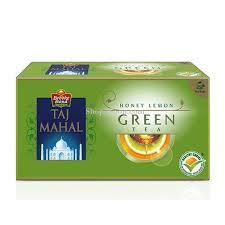 Taj Mahal tea bags offer great quality and flavor to its users. Tajmahal green tea is priced very less as well. It has many different flavors to try. It can be easily affordable. This was the list of green tea brands in India, these green tea companies give their best to produce organic green tea. Each green tea brand has its own uniqueness Picking up best green tea brands from million other brands can be a difficult task hence we narrowed down the list to top 10 green tea brands that produce best quality green tea, so you can easily pick any green tea brand according to your taste and preferences. However, all the above-mentioned green tea brands in India have a good reputation in the market and product great organic tea. Picking up the organic tea brand that suits you best is solely your choice.